First time on the market! 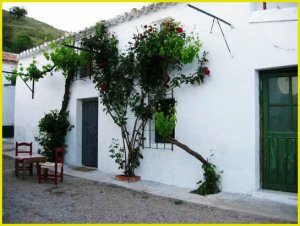 This small detached Spanish village house located in the idyllically peaceful, but festive, village of Los Cabreras, Almeria (Andalucia). Attached you will see photos that have been given to me by the family to show you how it could look! These were taken in 2004. Sadly a little neglected now as you will see from my own photos but certainly liveable while renovations are ongoing perhaps with the help of a Portapotti! In need of modernisation and restoration but offering an opportunity to create a spacious and easy to maintain home for holidays or permanent living. New roof. Electric disconnected but available. Mains water and drainage to be connected but available. Certificado del Energia obtained. - Original staircase and fireplace. - New roof on large part but easy to finish off as everything prepared. There are lots of opportunities to turn this house around and create spacious and open living….